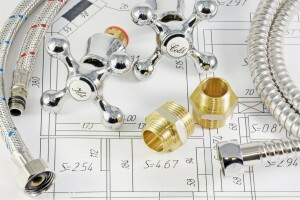 With many years of experience, Plumber Lakewood Ohio provide quality service for all your plumbing needs in Lakewood. One of our master plumbers is on duty 24-hours a day for emergency service! We are are licensed, insured, and offer free plumbing estimates. Clean, Neat, and Courteous Service – Our trained technicians are always well groomed, polite, and most importantly, concerned with your needs. Our professional plumbers encourage questions and want you to feel comfortable with our work. We handle all types of plumbing problems including whole house repipes, water service line replacements, leak detection, trenchless pipe replacements, problems with polybutylene pipes and sewer line repairs. We are licensed, insured and bonded protecting your family and home. In addition to residential plumbing services, we also work with many property management companies that count on our services 24 hours a day, 7 days a week. Call Plumber Lakewood Ohio for all your plumbing and drain cleaning needs!